National Waterfront Museum MuseumAt the National Waterfront Museum take in the sights and sounds of more than 300 years of Welsh industry and innovation. Using cutting-edge interactive technology, the Museum puts you in charge of the experience putting the past right at your fingertips. Located on the quayside of Swansea Marina - originally the South Dock of 1859 - the Museum stands in the former commercial heart of one of Wales's foremost industrial towns. Copper sheets made in Swansea once sheathed the hulls of the Royal Navy - to this day the term copper-bottomed implies quality and reliability! 15 themed galleries each tell a different aspect of this crucial period in Welsh history using a mix of touch screen technology and real objects, enabling visitors to be in charge of tracing their own experience of the fascinating - and still evolving - story of industrial Wales. 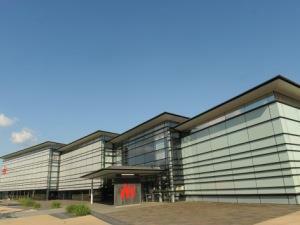 Imaginative events and exhibitions take place at the National Waterfront Museum throughout the year. Free Entry. Pay and display parking.